On Sept. 5, 2016, 9:45 a.m.
CodeBug had fun this weekend at Oldham Gallery teaching kids from the local area how to code. The event, MAKE STUFF, was organised by MadLab, a Manchester based non-profit dedicated to teaching the public how to be creative with technology. Hundreds of children and parents passed through the gallery which housed amazing projects from punchcard Minecraft on the Raspberry Pi to laser harps! 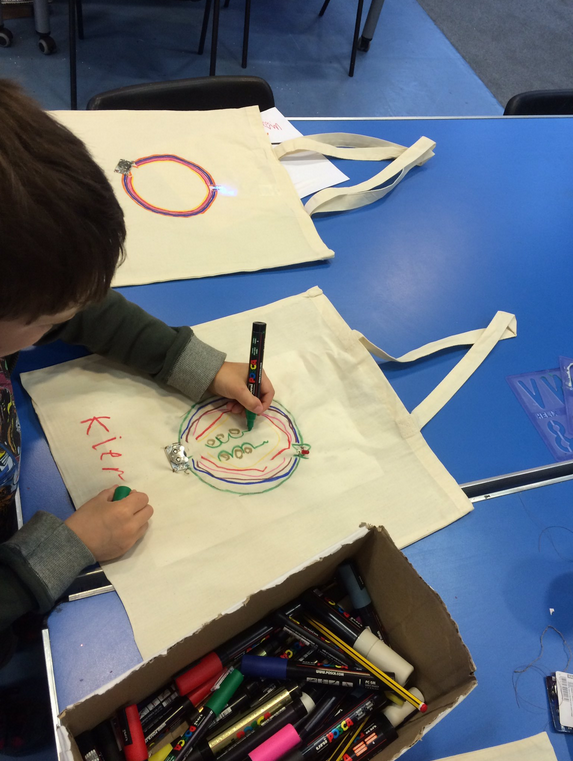 We spotted this young maker in action, making a light-up CodeBug bag with some help from Rachel at CPC.